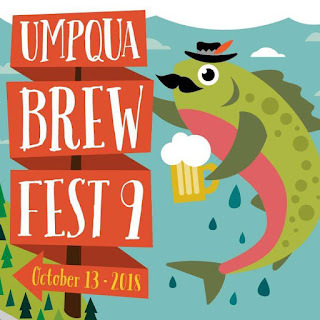 Umpqua Brew Fest: Umpqua Brew Fest VIII Volunteers Still Needed! Umpqua Brew Fest VIII Volunteers Still Needed! Hello Americans! Who likes free beer, wine, cider and/or mead? If you do, your friends at the Umpqua Brew Fest still need volunteers for first and second shift. In exchange for pouring beer for your fellow Americans, you will receive a cool tasting glass, 5 tasting tickets, an Umpqua Ale Trail bandanna and an unlimited amount of smiles from your UBF organizing committee. Don't miss out, sign up now at Umpquabrewfest.info!